Re-Up BBQ’s 3rd annual Labour Day BBQ is taking place at River Market in New Westminster. 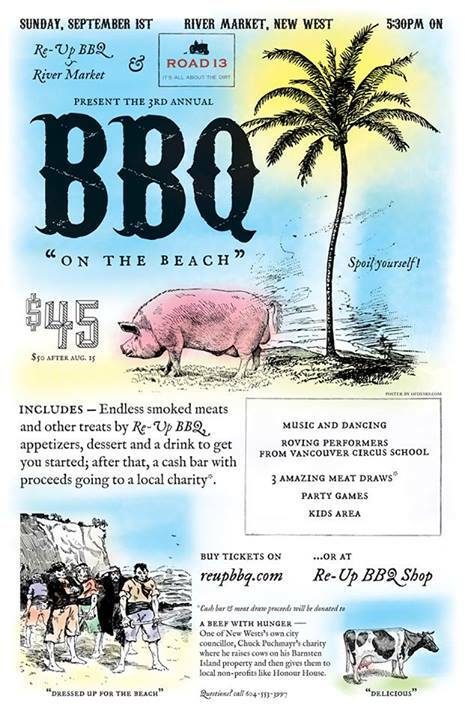 The party features BBQ, a diverse bar, DJs, circus performances, party games and more! 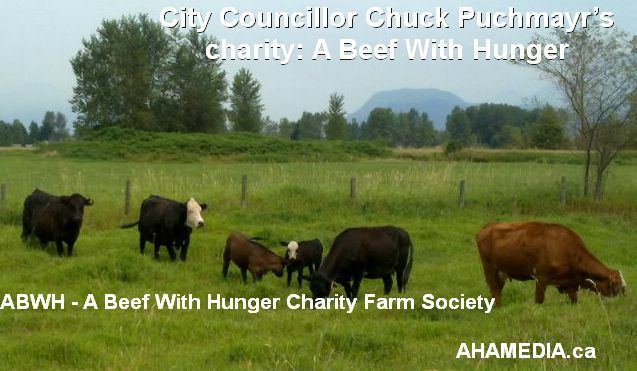 This year, the proceeds from the bar (and 3 amazing meat draws) will be donated to City Councillor Chuck Puchmayr’s charity: A Beef With Hunger.This organization raises natural, grass-fed cattle for the food bank and local recovery houses in New West. Help us make some money for a good cause while you have one last chance to spoil yourself this summer! A Beef with Hunger Society raises beef and purchases farmed goods that are then donated to the food bank and non-profit meal providers including community schools. Below are some pictures of A Beef With Hunger livestock. The cows are named Food 1 and Food 2 (left), Food 3 and Food 4 (middle)–we are up to Food 25! All Society meat is for non-profit meal providers and the HIV and Hepatitis C Food Bank.